A title loan is an installment loan where you make monthly payments over a set period of time (typically 2 or 3 years). Car title loans allow you to borrow thousands of dollars using your vehicle as collateral. The process is a quick and easy way to get emergency cash. In most states, almost everything can be done over the phone. Simply call the Cash Plus store nearest you to apply. Lending decisions are quick and you can pick up the cash you need that very same day. What if I already have a title loan on my vehicle from another company? We can refinance your existing loan at a better rate than you currently pay. This means you will pay less per month and save money. 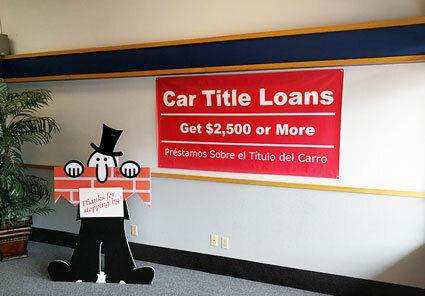 Our car title loans are offered based on the value of your vehicle along with other factors. To find out how much you can borrow, simply call the nearest Cash Plus store.